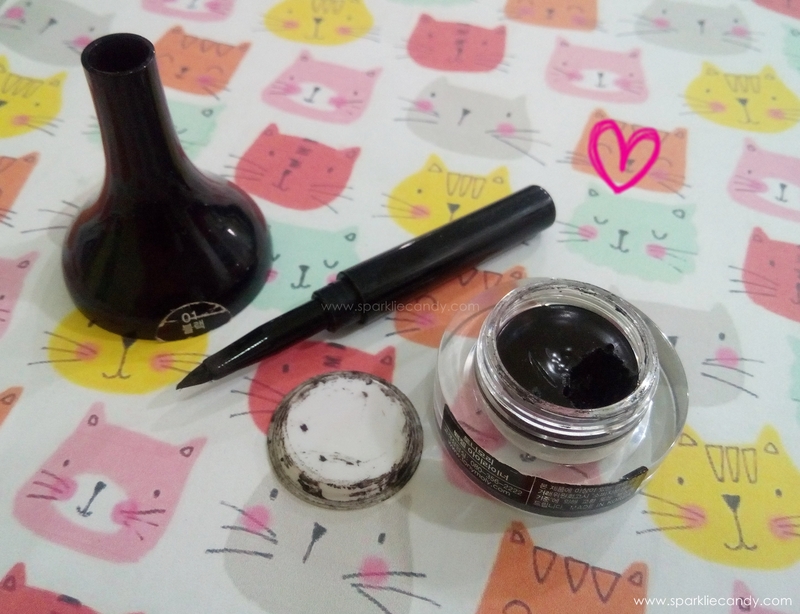 I am one of those monolid girls who is used to using eye liners. It doesn't matter if I woke up late or if I need to catch the train, the eyeliner is a must. Eye liner just makes my eye pop. Fuu~ the struggles. 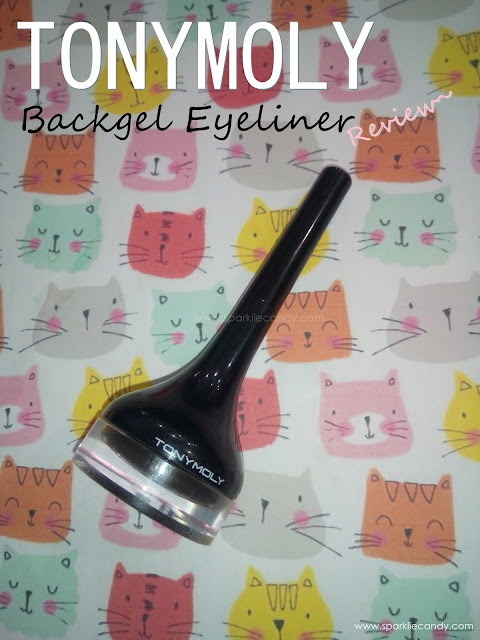 Tonymoly Backgel Eyeliner has 6 shades, black, brown, pearl brown, khaki black, pearl black and choco brown. I got mine in black because I am not used to brown liners no matter how much they say it looks more natural than the latter. Brown liner makes me look warm. The packaging of the gel liner is made of plastic. 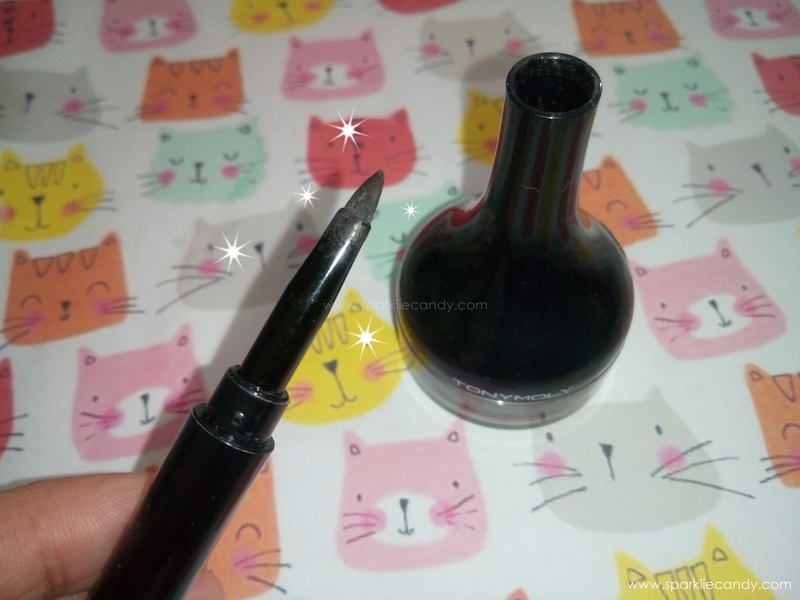 The cap of the liner encloses the liner brush. Hooray for girls like me with no liner brush available. Its smart but a bit bulky. The brush is easily removed from the cap while I lug it around in my kit. Tonymoly gel liner is creamy and there was no skin tugging. The color is true black, no glitters or shimmers and dries into matte. It mostly stays decent throughout the day. 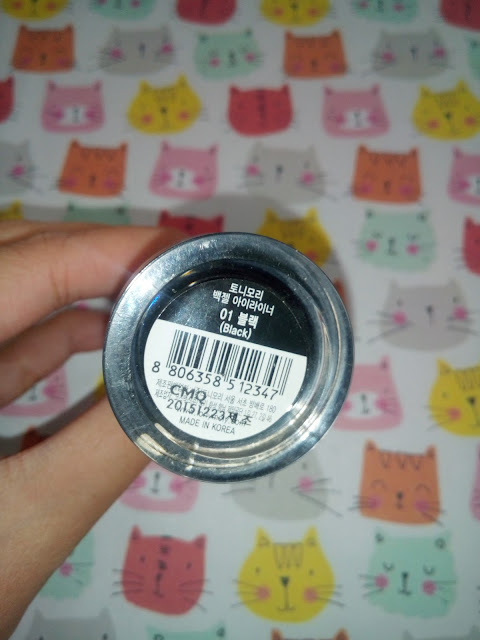 However I've used this during the summer days but there was product fall outs which darkened my under eye area but its not that 'dark' to be called panda eyes. 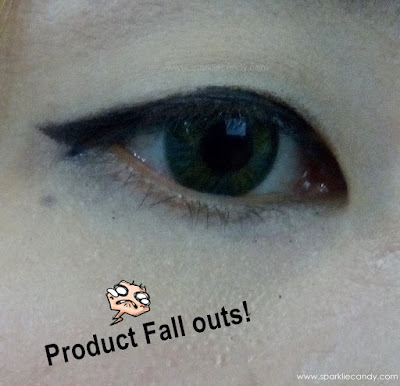 I understand pretty much that there can be no miracle to make a gel liner stay all day especially with the Philippines' humid weather. At the end of the day I tend to scratch my eyes because I am naturally sensitive to eye products. I remove this with my favorite facial wash and its easily washed off. Don't use when the weather is hot, might melt because its cannot withstand sweat.